Big advocates of 'feeling-based' work such as Wendy Clark and Jonathan Mildenhall have left Coke's marketing and a new, more rational strapline has been unveiled. Kevin Chesters, executive planning director, Mcgarrybowen London, draws on his experience of the brand to assess the pros and cons of this strapline change. Coke changed its strapline this week. This is clearly a big deal for a brand that spends over $3bn a year on advertising. Coke's changed it from the emotion-focused 'Open Happiness' to the more functional leaning 'Taste the Feeling'. "We want to help remind people why they love the product as much as they love the brand," said CMO, Marcos de Quinto. 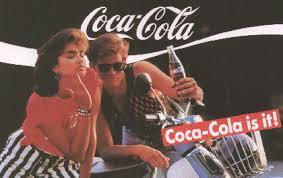 Historically, Coke has done this kind of thing quite a bit. I was involved in a fascinating project with the brand the last time this was mooted (coincidentally the last time the CMO changed too). I think as part of the pre-work we listed 40+ different significant brand strapline changes over the, admittedly long, lifetime of the brand. I had an inkling that this might happen with the fairly recent departure from Coca Cola of two marketers who were big advocates of more ‘feeling-based’ work - Wendy Clark and Jonathan Mildenhall. It seems like the battle for the heart of Coke marketing has now swung slightly in favour of the product-marketing wing in the absence of the evangelists for a more brand-led approach. Both approaches have clear and justifiable merits. Anyone who has ever spent time working with or for Coca Cola will know that every positioning has to ladder up from a core element/truth of the product (or 'liquid') itself). Now if the chosen topic is a drink (any drink) then you are really only ever going to have two starting points to pick from – refreshment or taste. Hence why Coke has used lines like 'Life Tastes Good', 'Enjoy Coca-Cola' and 'Coke Refreshes You Best' incredibly successfully in the past. Now I’m not able to end the debate as to whether a more rational or emotional approach is the correct one for Coke, even if I wanted to. Time will tell, and so will sales. I just think it is just a genuinely fascinating struggle that is taking place here in the harsh light of a public forum. Emotion vs rational, brand vs product. I think this strapline change is very significant because it highlights for me a Barnes vs Elias struggle (Platoon, 1986) for the very soul of marketing. Seriously. Stay with me on this one. 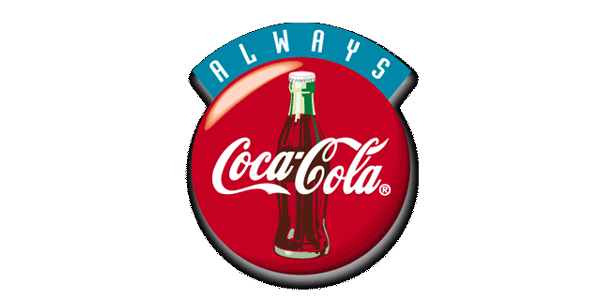 There are those marketers that sit firmly on the Daniel Kahneman/Brainjuicer side of the fence that say that it is all about emotion – 'Open Happiness, 'The Coke Side of Life' and 'Always Coca Cola'. Then there are the clients like the one I met recently – not from Coke – who tried to tell me that if agencies or marketers cannot create product based campaigns from specific product differentiators then they have "failed at the essential element of their job" (This gave me a slight shudder). There are loads of merits to this new line, for both sides. I can see that the product camp could cheer its focus on the taste. I can see equally that the emotion camp could cheer the continued support of the ‘feeling’. It does enable one to land a foot in both camps simultaneously as well – possibly creating a new phenomenon of the DSP (dual selling proposition!). I’m not a massive fan of relying on ‘taste’ as a differentiator for drinks brands because I think it’s a category generic but it has worked brilliantly for them in the past so what do I know, eh? 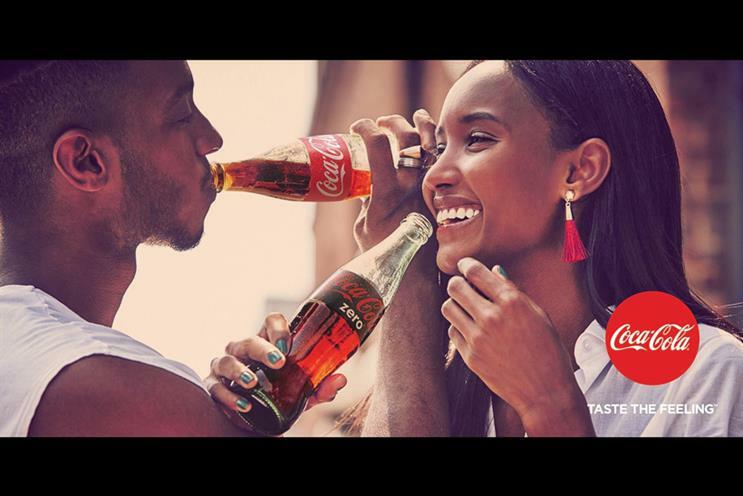 As I said, time will tell if Coke's marketers are right or wrong to ditch the more overtly emotion-led positioning. And I suspect that there is a raft of quant-based evidence to support this shift otherwise they wouldn’t have done it. I personally liked 'Open Happiness' and 'Coke Side of Life' because they both seemed to be fertile and powerful territories for multiple agencies to create good creative work across the globe. I think it was time to refresh (no pun intended) Coke’s positioning given the social context of their category, and the sugar/obesity debate. I’m not sure that if Coke was looking at the key issues facing them as a product or a brand in 2016 that taste is one of them, but as I said I’m not in possession of all the facts. I’d personally have stayed in the emotional camp – but I’m aware it’s a subjective argument without the benefit of a crystal ball. Coke needs to be seen with the good guys again, the brand certainly used to be when I was a lad, and I think emotion is a powerful ally for this. You don’t win an emotional argument with a rational one or vice versa. So I think landing a positioning on feeling over logic would be the more effective way to go on the current category battleground. But ‘feeling’ is there, so that could be enough given a century of brand salience. For the record, I always liked 'Coca Cola is it' as a line. But I think that might be due more to a teenage crush on Robin Beck than any particular strategic rigour.